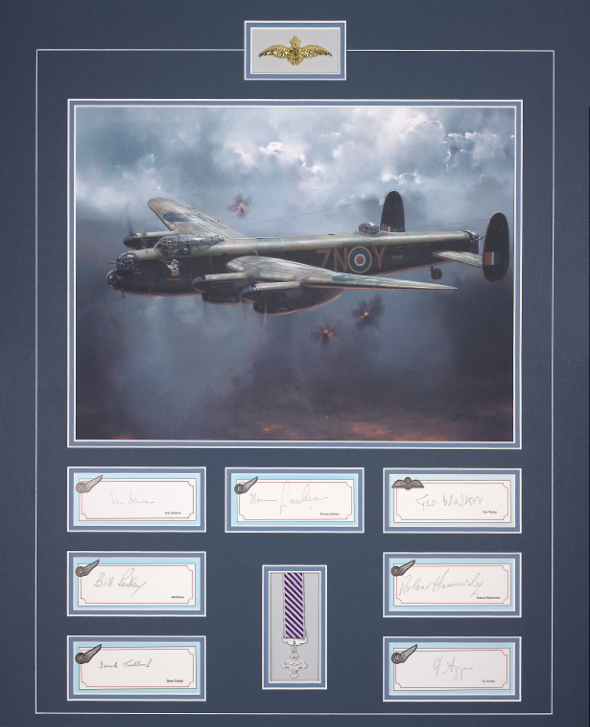 Despite knowing Bomber Command was suffering greater losses than any other division of Allied armed forces, all aircrew in the Command were volunteers; their pure courage, determination and devotion to duty is indelibly written into the pages of Royal Air Force history. By some miracle, this magnificent seven of highly decorated young men who, while still in their 20s, defied the fearsome perils of the night missions over enemy territory when all the odds were stacked against them. 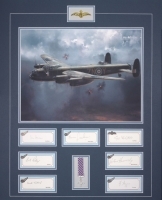 Now they come together to form a complete Lancaster crew again, to provide what surely must be one of the most desirable, and potentially valuable WWII aviation pieces ever brought to the collector market.